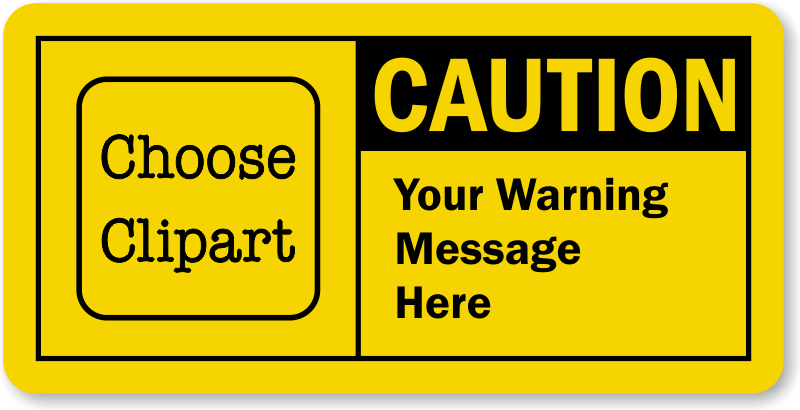 Personalize your Custom Caution Label in few easy steps. Use our free online wizard to add text and picto, and your OSHA compliant customized label is ready! Laminated vinyl guarantees superior strength and high durability. I received excellent communication with the label designer regarding my custom label. He also verified the label design for my approval before printing. These labels certainly satisfied our needs within our production centers.